Anna Liza Niblack has been elected as Horizon's new ACR. Mike Paul has been elected as Republic's ACR. Greg Horner has been elected as PSA's ACR. John Cash is a Flight Dispatcher for Kalitta Air and lives just outside of Detroit. He said that Kalitta Air has grown from “a mom & pop business to a fairly large cargo operation quite quickly” and the relationship between the employer and employee has done the opposite. “Quality of life is a big part of it. The pay scale system is something we have never had,” Cash explained. “The company has been around in one form or another for 20-plus years and there are people there the entire time who have never moved up. “We don’t want to be employed at-will,” he continued. TWU Organizing Director Steve Roberts, who spearheaded the campaign with TWU Assistant Organizing Director Sean Doyle, said that the negotiating team will work for defined working conditions, hours, benefits and job security. Organizing Director Steve Roberts, Flight Dispatcher John Cash and Assistant Organizing Director Sean Doyle before the March 5 vote count. 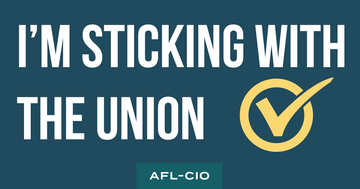 After 46 months of bargaining, the TWU believes contract negotiations between our Aircraft Dispatchers and United Parcel Service (UPS) have come to an impasse. We have been engaged in mediation since Aug. 26, 2016. On Jan. 9, we sent a request to the National Mediation Board (NMB) to be released from mediation. The TWU and UPS could not reach an agreement because UPS has not offered enough in wages and their pension proposal falls significantly short when compared to other unionized UPS airside workgroups. TWU Dispatchers perform many duties that improve shareholder value, including helping create fuel savings, improving on-time performance and providing flight crew safety. They deserve a pension inline with other UPS airside workgroups. Update from Local 592 President, Jenny Schar: The 592 Executive Board has been working diligently towards completing all the business processes necessary to start-up Local 592 and close out Locals 549 and 540. We have also spent a lot of time changing some of the manual processes 549 used in the past by upgrading to more online-based systems. 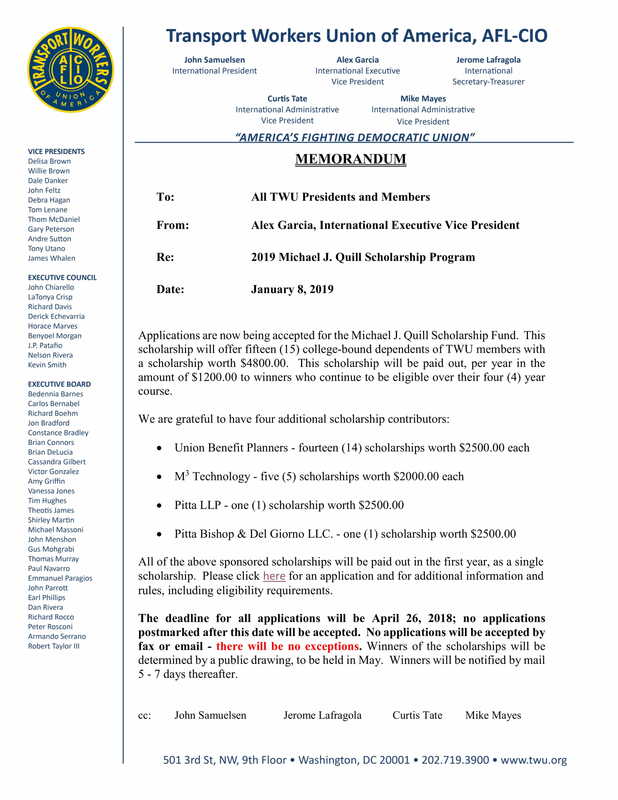 WELCOME TO THE TWU 592 (From President, Jenny Schar) Sisters and Brothers of TWU 592, Please let me take this opportunity, as your new Local President, to welcome you to TWU 592. Women overall make 80 cents for every dollar paid to men, and the wage gap is even worse for women of color: African American women make 61 cents and Latinas make 53 cents for every dollar white, non-Hispanic men make. Asian American women make 85 cents to the dollar; they are more likely to have advanced degrees than white men but are still paid less. 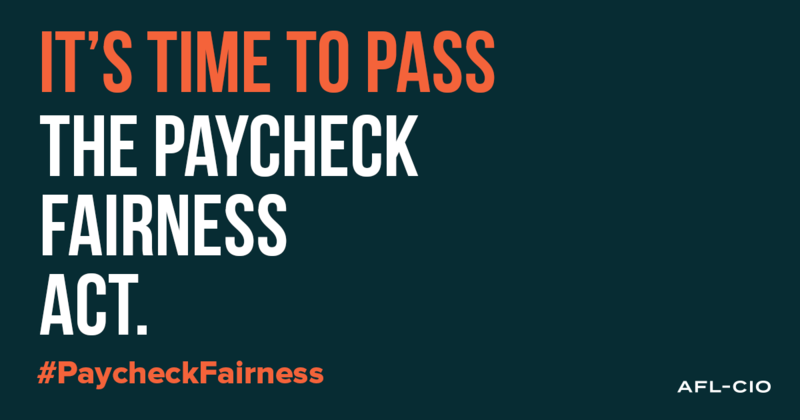 The Paycheck Fairness Act would further close the legal loopholes standing in the way of wage equality for women and prohibit retaliation against workers asking about their employers’ wage practices. Contact your U.S. Senator and urge them to support H.R. 7, the Paycheck Fairness Act. Info can be found under the "Important Links" section.